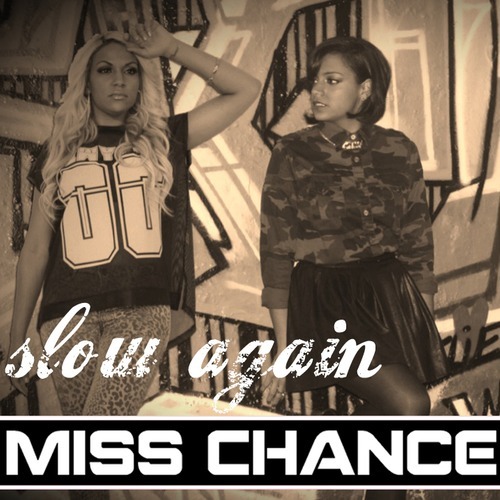 UK sister duo - Miss Chance have launced their debut single 'Slow Again'. The song is scheduled for releae this March 3, 2013. Added to MTV's Unsigned Longlist 2013, Miss Chance who are sisters - Abigail and Becks Chance were formed in 2012 and teamed up with producer Reiss Nicholas who has worked with the likes of UK artist - Bluey Robinson and more. 'Slow Again' was co-written by UK Funky/Grime Act - Gracious K who is most popularly known for his song 'Migraine Skank'. Miss Chance has kicked off the new year so correctly by debuting this new single 'Slow Again' and the duo will also be premiering their new music video soon, so stay tuned for that!